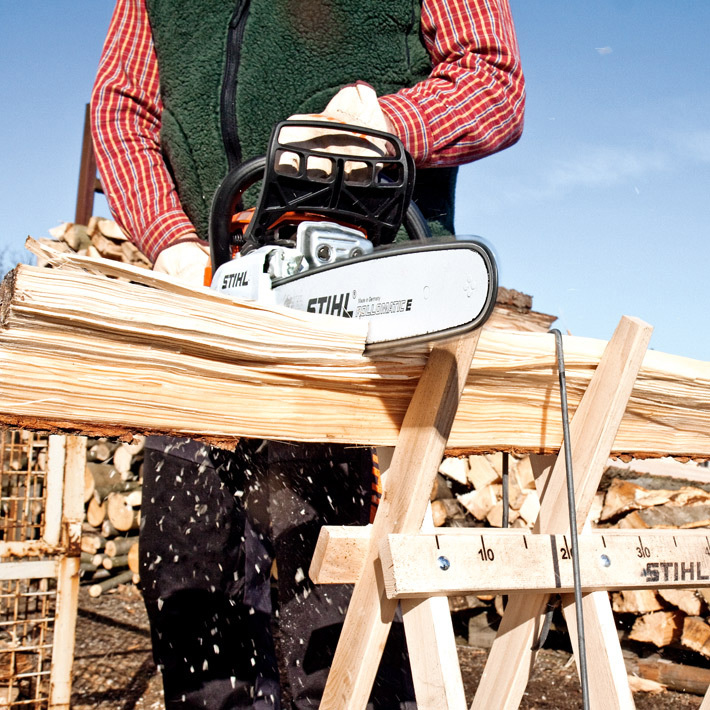 For harvesting firewood. 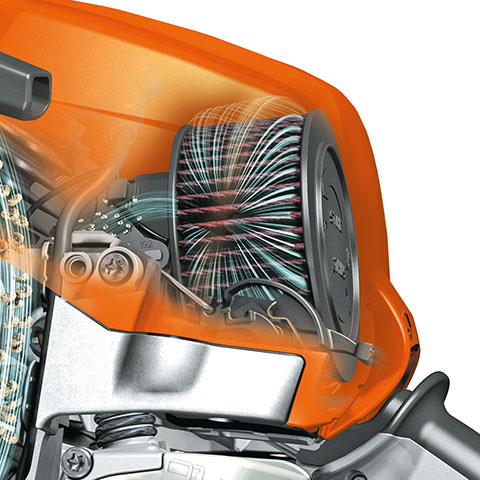 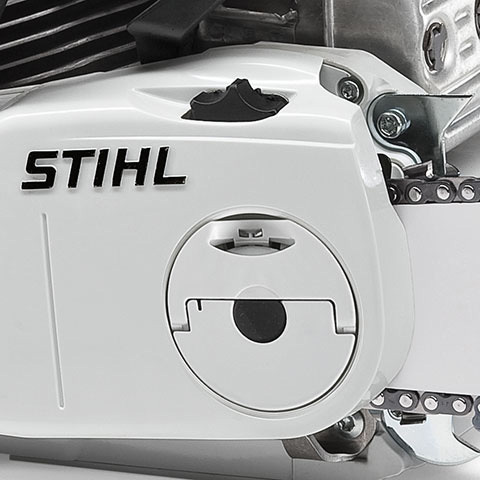 Economical 2-MIX engine, long-life air filter system ensures a long filter life, tool-free fuel caps for safe and easy refuelling, fast service access thanks to one-piece engine cover. 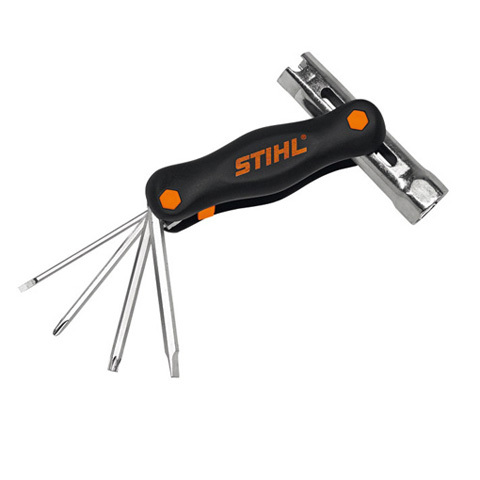 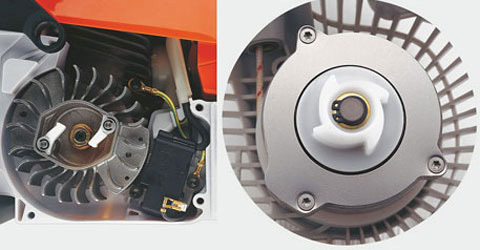 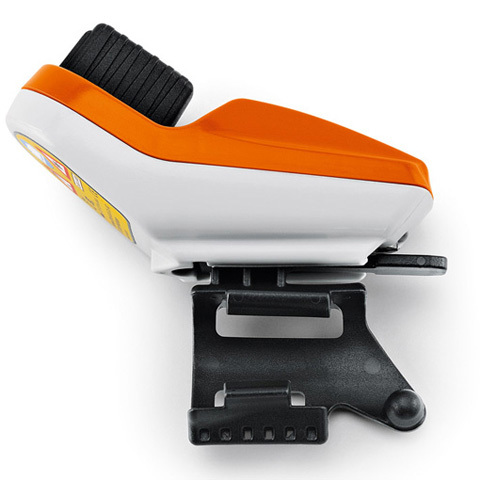 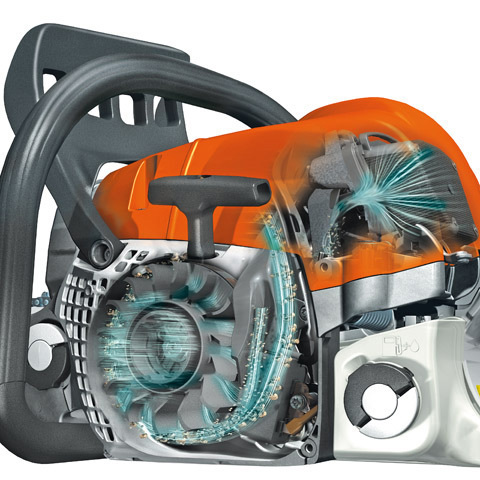 Version with chain fast tension (B) and STIHL ErgoStart (E). 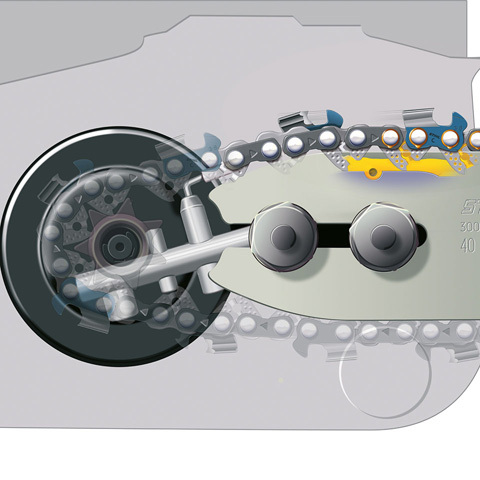 A spring between the starter cord reel and crankshaft relieves the strain when starting, meaning that excessive pulling on the cord is no longer needed. 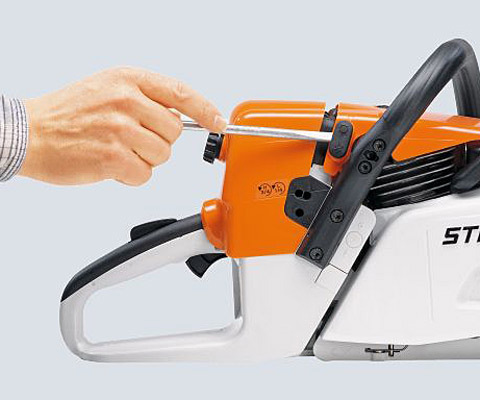 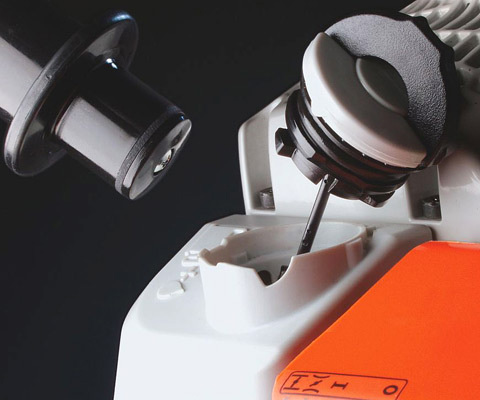 The result is a convenient starting procedure with practically. 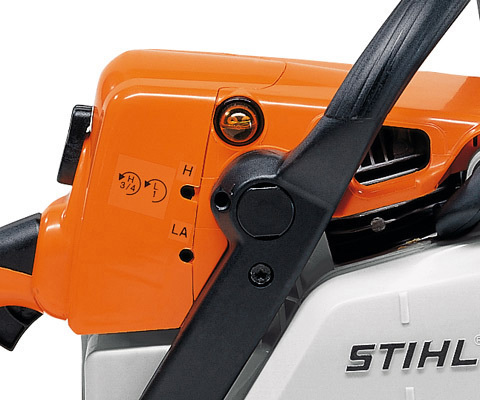 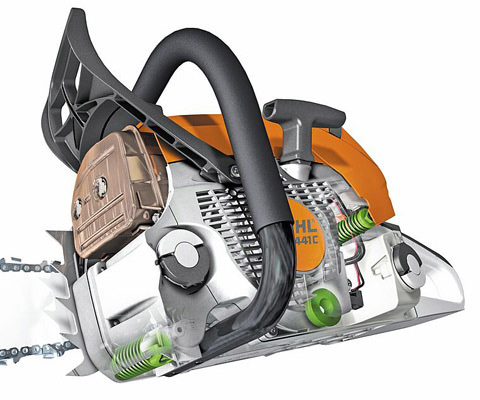 STIHL chainsaws and pole pruners with manual fuel pumps allow improved starting with a reduced number of starting pulls. 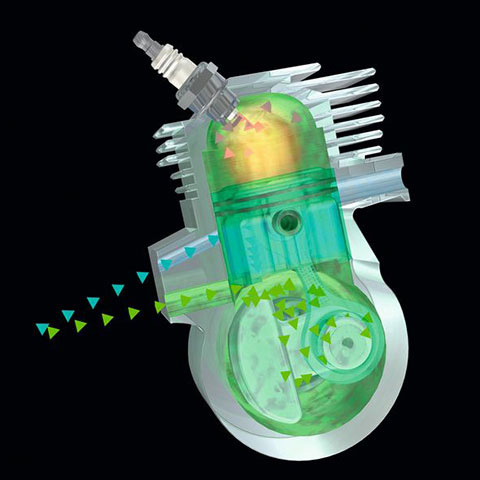 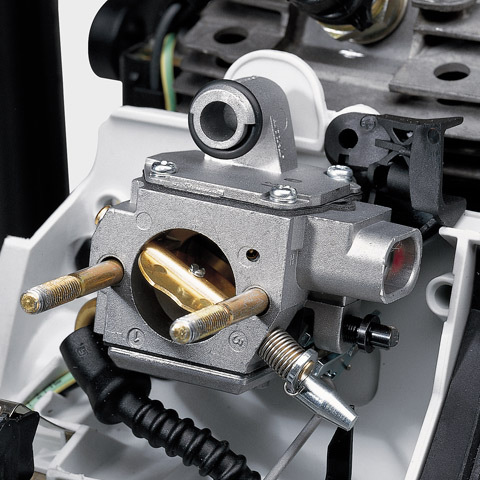 Pressing the primer fills the carburettor control chamber with fuel. 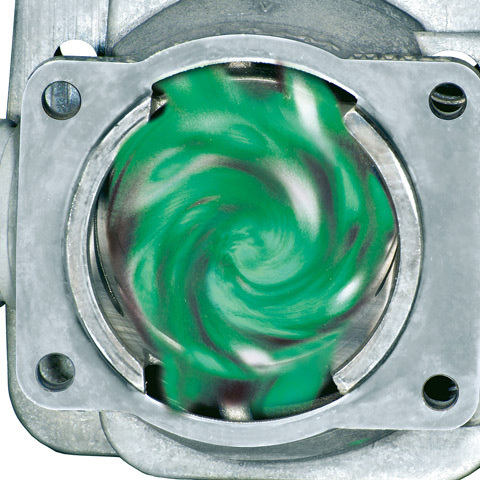 This ensures that there is sufficient fuel present to create an ignitable air-fuel mix on starting, requiring significantly fewer starting pulls. 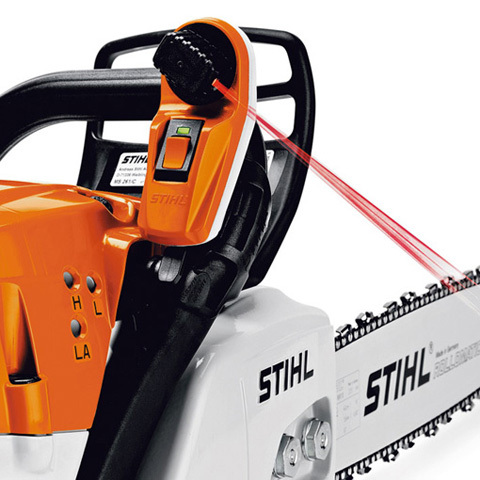 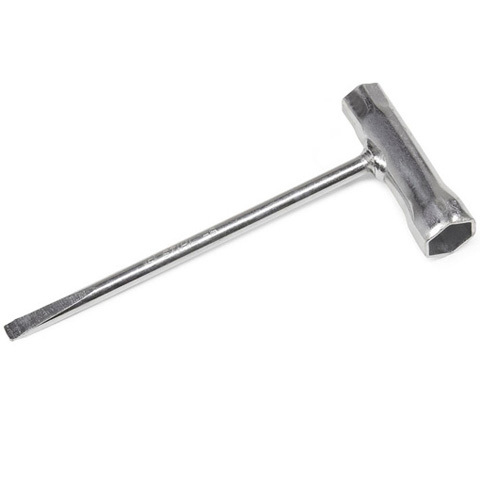 Felling direction indicator and cutting guide in one. 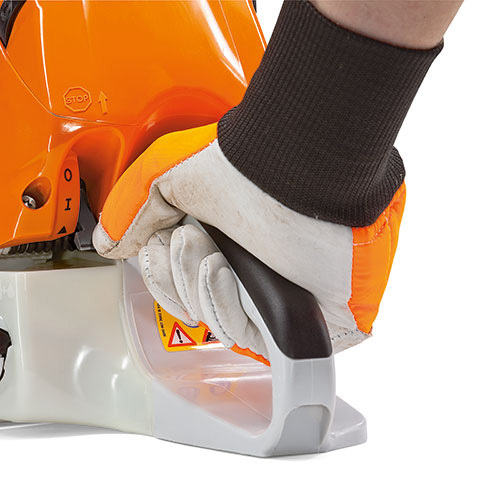 For cutting short pieces of wood without complicated measuring, can be used as a felling direction indicator to check the cuts and felling direction, demonstration video on DVD. 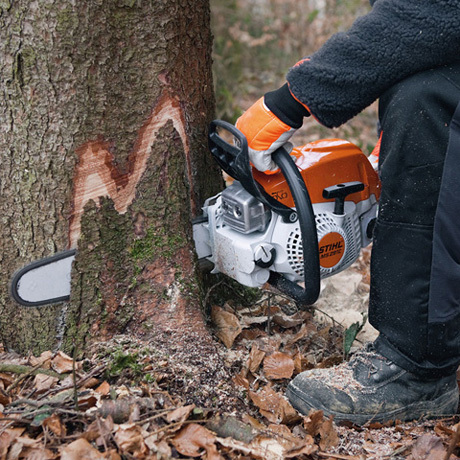 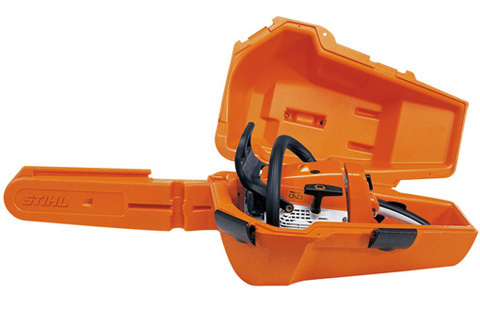 Choose the holder suitable for your chain saw.